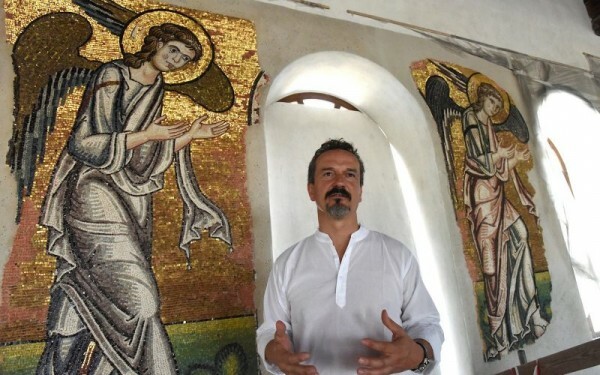 An Italian team has completed restoration of Crusader-era mosaics in the Church of the Nativity in Bethlehem. The mosaics will only be unveiled publicly after work on lighting, electricity and a fire alarm system. The work involved removing the layers of centuries-worth of soot and dirt – a result of the smoke of candles lit by pilgrims coming to venerate the site traditionally believed to be the birthplace of Jesus – from about 1.55 million tiny mosaic pieces that were reviewed and restored. Relations among the churches have become progressively more cordial over the past decade, and the three churches were able to come together under the auspices of a special committee formed by the Palestinian National Authority. Through joint discussions they reached a working agreement permitting the much-needed restorations on the Church of the Nativity to begin.